Below is a short list of the Products or Organizations that have engaged our co-development process. A network of industry certified homeownership counselors, agencies, and intermediaries with an idea, came together to formulate a client management system for the next generation. With a combined 100 years of experience, our developers have succeeded in launching the new industry standard for today’s housing market and the solution to tomorrow’s data management needs: mPact Pro. Where work flows. CAIRNLouisville is Louisville’s first public giving circle. What’s a giving circle you ask? It’s a pooled fund that individuals can give to to make their small donation have a big impact. 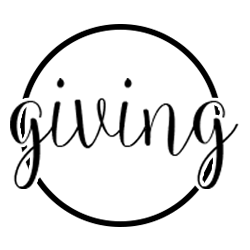 This giving circle in particular will be distributed monthly to small, local organizations that focus on human dignity and serve people on a grassroots level. All God’s Children, Inc., is a nationally accredited, private, not-for-profit corporation that has been nurturing the spirit and building the character of children since 1999. The purpose of All God’s Children is to provide comprehensive care, treatment and education to emotionally and behaviorally troubled, pregnant and/or parenting teens and their children. Inquire how you can build sustainability through our services.